If it seems like you keep hearing about CBD, you’re not alone. There’s buzz about CBD everywhere – from natural food stores to search engines to newspapers and legislative chambers. People are drinking it in tea, swallowing it in capsules and putting it by the dropperful under their tongues. So, what the heck is CBD? CBD stands for Cannabidiol, which is a compound extracted from the hemp plant. It is one of more than 100 unique compounds found in hemp, known as cannabinoids. Cannabinoids are known to promote health and to keep people resilient to changes in their environment. 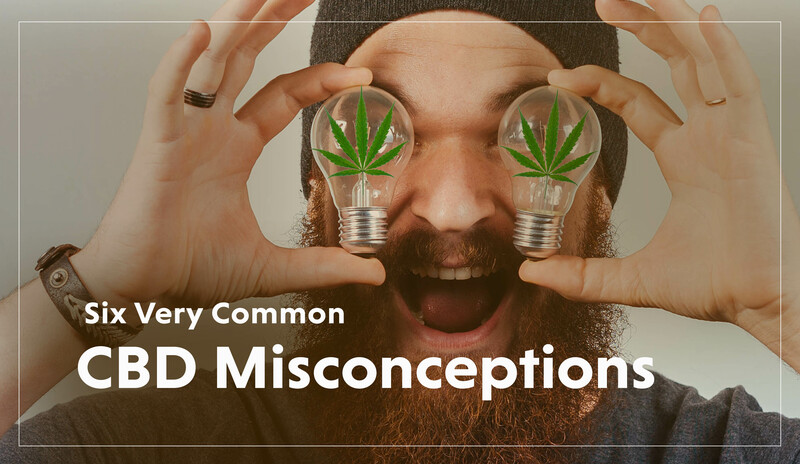 And while CBD is an incredibly safe and therapeutic component of cannabis, as its popularity grows, so do the many misconceptions associated with it. Here are a few of the top myths about CBD. While CBD is present in Marijuana, when utilized as a legal health supplement, it is extracted from industrial hemp. Hemp has been cultivated by humans for over 10,000 years and is grown in many parts of the world with multiple uses. It is also an earth-friendly plant that is highly sustainable and renewable. 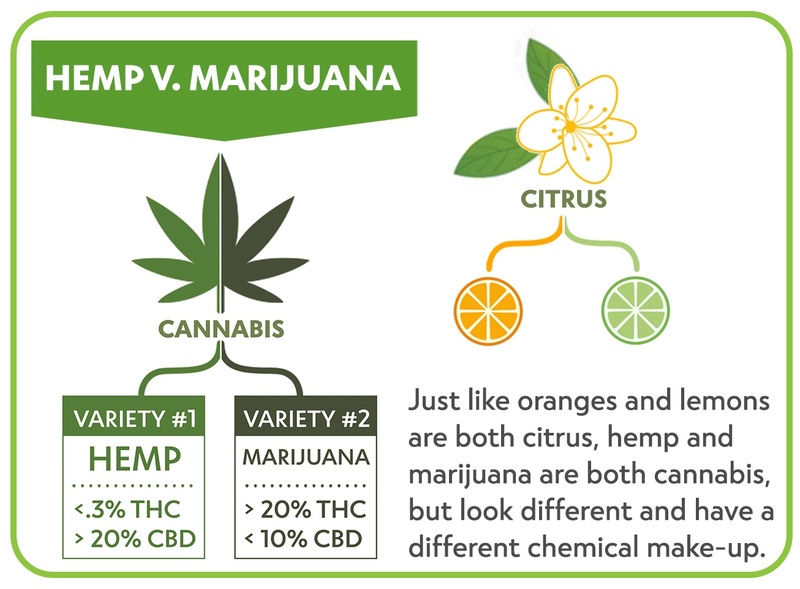 Hemp and marijuana come from the same plant family, but are completely different in function, cultivation and application. Marijuana generally has a high level of THC (a psychoactive compound that makes you feel “high”) and is used for medicinal or recreational purposes. Hemp contains a negligible amount of THC (but is high in CBD) and is used in dietary supplements, skin products, clothing and paper. Technically, CBD is not a sedative. While some people find CBD “relaxing,” the misconception that CBD is a sedative may have come about because some products containing CBD extracted from marijuana can also have high concentrations of THC, which can have a sedating effect. 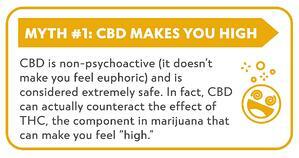 In addition, CBD is currently being researched for its downgrading effect on disordered thinking (anxiety). But anxiety relief and sedation are not one and the same! When it comes to CBD, more isn’t necessarily better. Reports from clinicians and patients suggest that the therapeutic amount of CBD per serving varies for each individual, and in fact, the synergistic effect of full-spectrum CBD can be effective at low doses. Several factors, including frequency and length of use, as well as your body’s metabolism, weight and health status, can play a part in how much CBD is right for you. If you used CBD before and it worked great, you may think using another CBD product will give you the same results. Not necessarily true. 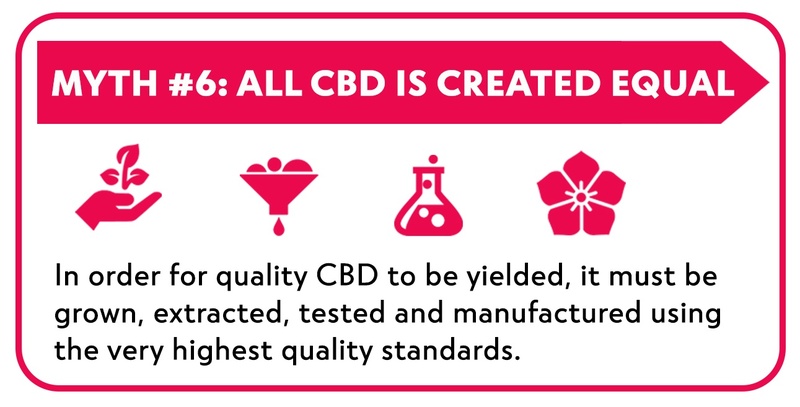 In order for quality CBD to be yielded, it must be grown, extracted and manufactured using very high standards. It is extremely important to research and purchase products from a trusted company that is known for adhering to the highest quality standards. So, if you have experienced a low-quality CBD product that hasn’t worked for you in the past, don’t lose faith. Instead, look for a CBD product from a trustworthy company. Barlean’s has been making healthy oils and supplements in the Pacific Northwest for nearly 30 years. As a leader in the natural foods industry, we stake our reputation on innovating and creating the quality products our customers have come to expect. And like all of our products, our Ideal CBD Hemp Oil meets the very highest standards of excellence. Have more questions about CBD Hemp Oil? Click the button below to go to our extensive list of FAQs or check out our Ultimate Guide to CBD Hemp Oil.